The legendary artist dies at 69 after an 18-month battle with cancer. 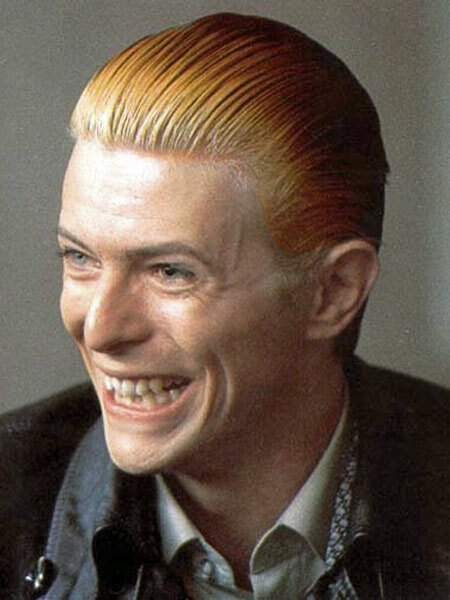 "David Bowie died peacefully today surrounded by his family after a courageous 18-month battle with cancer. While many of you will share in this loss, we ask that you respect the family’s privacy during their time of grief." Born David Robert Jones, he grew up in Brixton, south London with his mother Peggy and his father John, a promotions officer for U.K. children's charity Barnardo's. His musical ability was evident from a young age - he impressed with his skills on the recorder, while he also picked up the ukelele, tea-chest bass, saxophone and piano as a kid. His childhood idols include Elvis Presley and Chuck Berry. He formed his first band, The Konrads, at the age of 15 and moved on to a string of other groups, including Davie Jones and the King Bees, The Manish Boys, The Lower Third, The Buzz and the Riot Squad, before finally deciding to go solo. He ditched his birth name due to confusion with fellow 1960s singer Davy Jones of The Monkees, but his big breakthrough didn't come until 1969, when his song Space Oddity was released to coincide with the first moon landing. 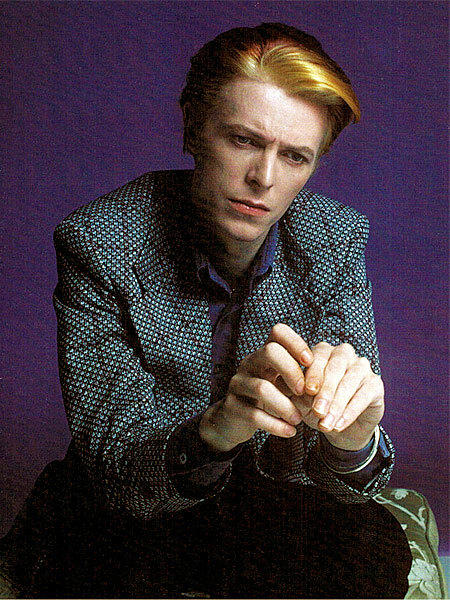 Bowie has sold an estimated 140 million records over his lengthy career, is widely regarded as one of the most influential artists in pop history, and was ranked at number 29 on a BBC poll of the 100 Greatest Britons in 2002. 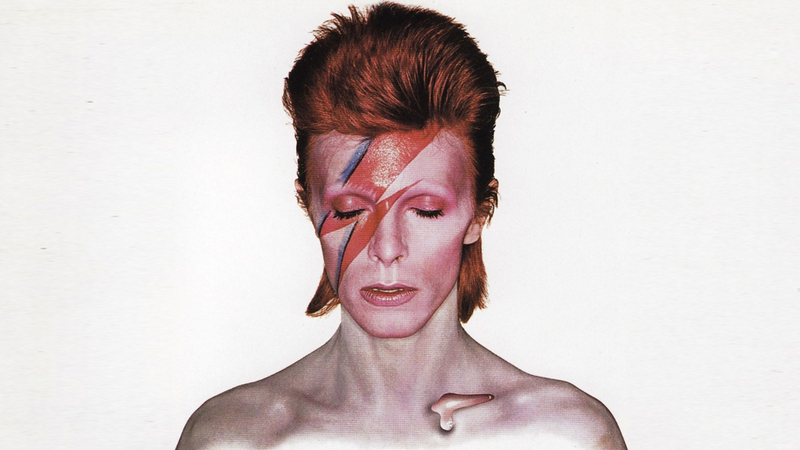 From Ziggy Stardust and Aladdin Sane to the Thin White Duke and The Goblin King, no one does self-invention better than David. 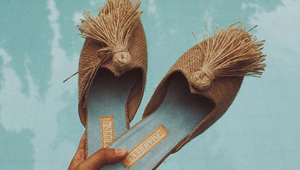 For him, fashion served as a powerful tool in communicating a vision—shaving off his brows, painting his face, and performing in women’s shoes—by constantly changing his look in the most dramatic and extreme ways, all for the sake of his art. 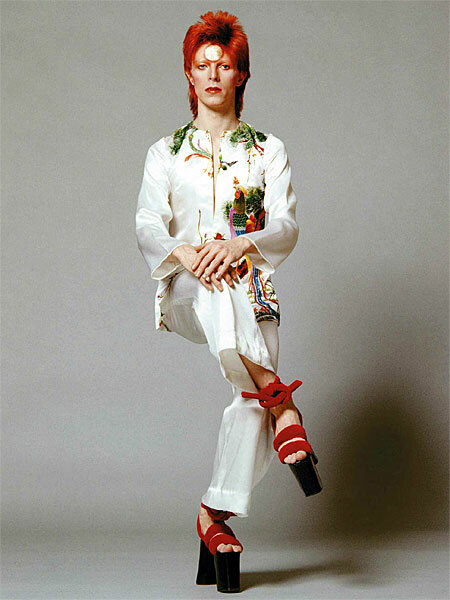 1969 – As a young artist in his 20s, David was once compared to actress Greta Garbo for his high cheekbones and wavy hair. 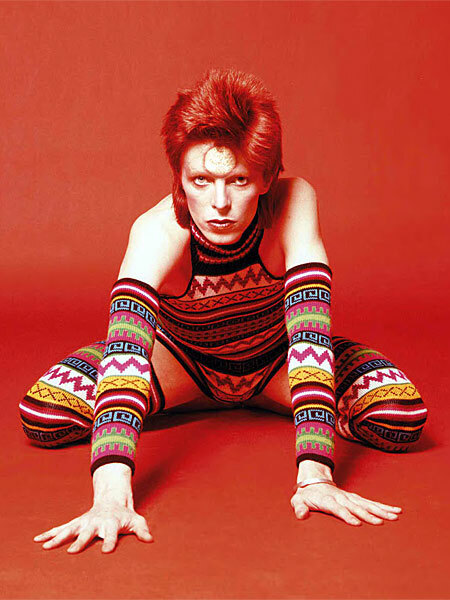 1973 – David internalizes the persona of the androgynous Ziggy Stardust, a character from Mars, while sitting for photographer Masayoshi Sukita. 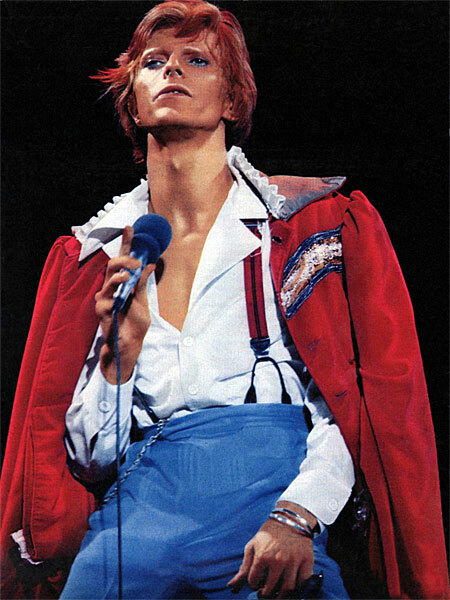 1974 – Promoting his studio album “Diamond Dogs,” David traveled across North America with his arsenal of wide lapel shirts. 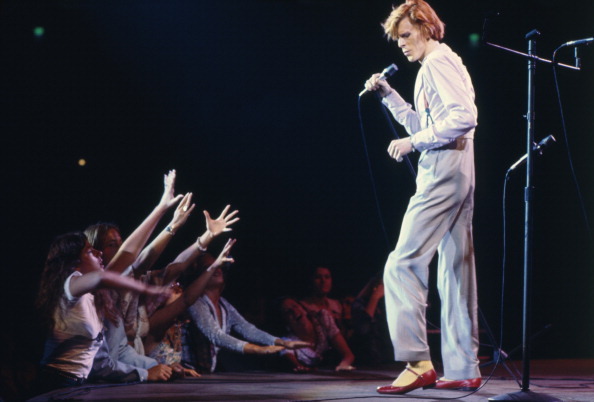 1974 – During his Diamond Dogs tour, David sported red mary janes onstage. 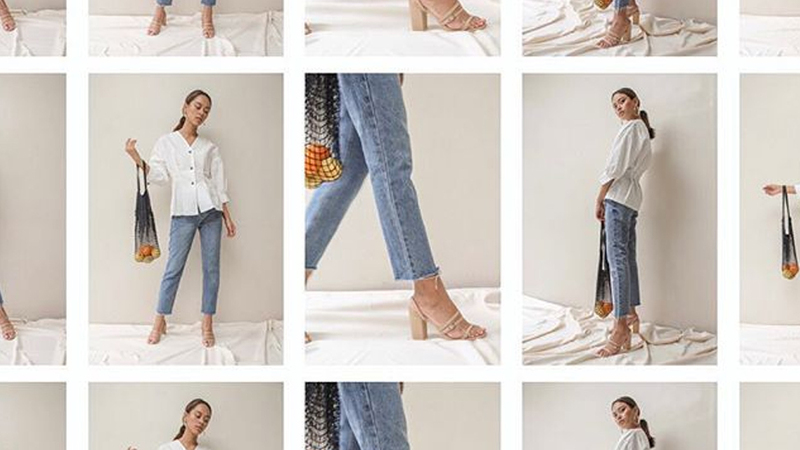 1975 – Photographed by Steve Schapiro, David tones down his look favoring sharper western silhouettes over ovoid Japanese shapes. 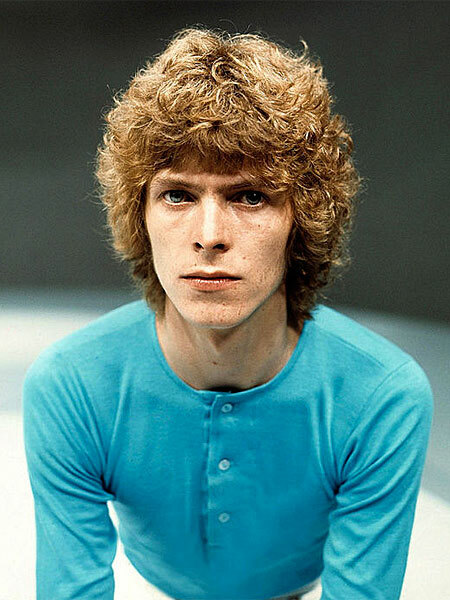 1976 – Gone are the fiery orange mullet and face paint as David opts for a sleeker look in the late ‘70s. 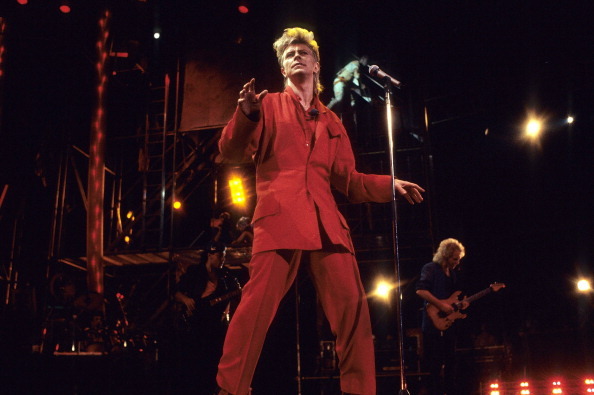 1987 – David at his Glass Spider Tour in Chicago, Illinois, sporting a monochromatic look. 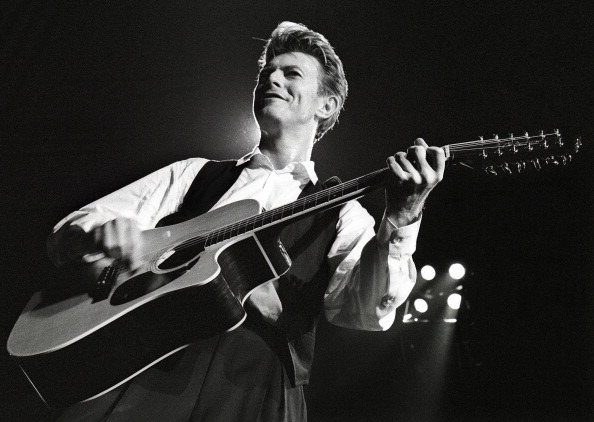 1990 – David at the Sound + Vision tour wearing a classic white button-down paired with trousers and a vest. 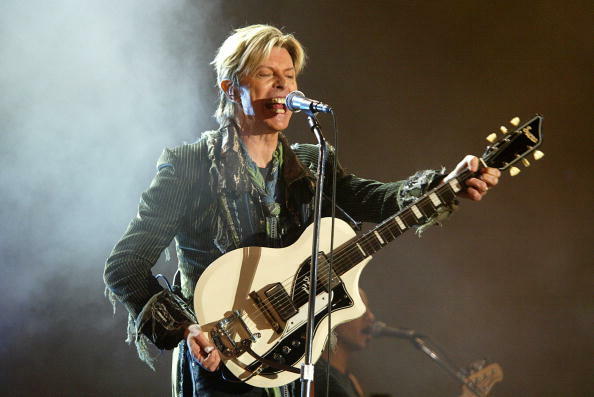 2004 – Performing at the Isle of Wight Festival with a distressed striped blazer. 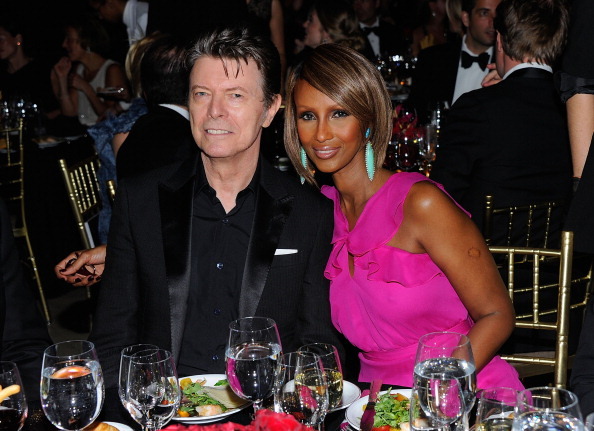 2011 – David with wife Iman. 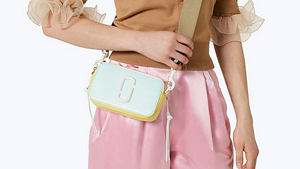 Click on the gallery to see more of David's style evolution through the years.